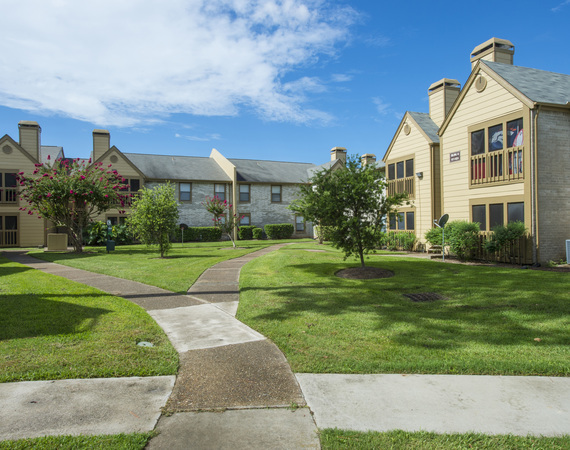 Enjoy living in a dynamic Baytown neighborhood when you lease an apartment at Raintree. As you explore the surrounding area, you will uncover an array of attractions fit for every lifestyle. Nestled on Rollingbrook Dr., this community offers a peaceful setting in an ideal location near major Baytown, TX attractions. You can make the short drive down Interstate 10 to San Jacinto Mall, a large venue with a variety of retail, entertainment and dining options. Grab a bite at nearby eateries, including Saltgrass Steak House, Cheddar’s and Antonio’s Italian Grill. You can also tour historic sites such as the San Jacinto Battleground and the San Jacinto Museum of History.